The political charisma of Mahinda Rajapaksa is the sole ingredient in the SLPP recipe for success. This success is most likely to be repeated in forthcoming provincial council polls too. Unless Maithripala Sirisena rapidly undertakes serious course correction, he is most likely to go down in history as the man who was elected to govern a country but instead preferred to lead a political party. There was a time not so very long ago when Maithripala Sirisena earned the respect and goodwill of the nation. Now that larger than life image is diminishing into a pathetic caricature. Maithripala Sirisena’s ill-advised decision to take over the reins of the SLFP was the first success notched up by Mahinda Rajapaksa in his political counteroffensive. The tactic of raising the demand for Rajapaksa’s return by non – SLFP leaders of the UPFA sustained the illusion of the SLFP being under the total control of Maithripala Sirisena. Some MPs, Ministers and Provincial Councillors may remain with Maithripala for the time being, but will most likely switch sides again soon. Pallewatte Gamaralalage Maithripala Yapa Sirisena is currently in the throes of an acute political crisis after the Local Government poll results. It was only some weeks ago that a pugnacious and cocky President Sirisena threatened to wield his kaduwa (sword) against members of his own Govt. and Opposition as part of his self-declared crusade against corruption. Little did he realise while twirling his vocal sword that a Damoclean Sword in the form of the local poll verdict was hanging over him. Instead of being able to dictate terms to his perceived targets through his political swordplay, the President himself is in the unenviable position of being at their mercy now. Maithripala Sirisena faces the bitter prospect of political Hara-kiri if he does not get help from either Ranil Wickremesinghe or Mahinda Rajapaksa or possibly both. How have the mighty fallen! The reason or reasons for this downfall are quite clear. Maithripala Sirisena was elected President on a platform of reform. He was elected to govern a country. Instead, he preferred the parochial task of being a leader of a discredited political party. Sirisena who was installed as President to run a Government of good governance occupied himself more with the affairs of running the Sri Lanka Freedom Party (SLFP) and the umbrella United Peoples Freedom Alliance(UPFA). It was the SLFP/UPFA which opposed him vehemently in the 2015 Presidential Poll. But Maithripala was obsessed with the idea of bringing the SLFP under his effective control and making it stronger than the United National Party (UNP). He forgot the reason for which he was elected and lost all sense of political direction. In an ironic twist, Maithripala Sirisena turned his back on the political party and minority ethnicities which helped elect him President and began pandering to the party and the Sinhala ultra-nationalist constituency that opposed him. Maithripala Sirisena shared a dinner of egg hoppers with Mahinda Rajapaksa at Temple Trees in November 2014 where he assured the then President that he had no intention of crossing over. Yet within days, Sirisena left the Govt. and became the Common Opposition candidate at the Presidential Election. In what was hailed as a political revolution, the underdog Sirisena defeated top dog Rajapaksa and was sworn in as President. There were many who felt then that the writing was on the wall for Mahinda Rajapaksa. The Machiavelli of Medamulana- instead of being written off as predicted - has made a spectacular political comeback and in the process reduced his erstwhile friend turned foe into insignificance. Mahinda seems to have achieved this by letting Sirisena walk into a trap shortly after he was elected President. Maithripala Sirisena and his cohorts thought Mahinda had been dealt a double blow when the defeated ex-president lost his SLFP Party leadership also to the new President. It now appears that donning the SLFP mantle of leadership was the fundamental blunder which undermined President Sirisena and has led to the current downfall. As is well known now, Mahinda Rajapaksa erred grievously in calling for premature Presidential elections in 2014 and suffered bitter defeat in 2015. Goliath Mahinda was slain through the ballot by David Maithripala. The circumstances leading to Mahinda Rajapaksa’s defeat have been related and analysed ad nauseam by numerous political pundits. They need no repetition here at this juncture. What has been interesting even more than the defeat of Mahinda Rajapaksa was the resilient attempt by the ex-president to rise up from that defeat and transform the prevailing political equation. With the Local Government poll verdict, Mahinda seems to have achieved that now. The political fightback of Mahinda Rajapaksa after electoral defeat provides a fascinating study for political observers as well students of politics. Mahinda Rajapaksa was in a beleaguered state after facing defeat on the night of January 8th, 2015. Bleak prospects were in store for him in a post-defeat situation. These ranged from legal action for alleged offences in domestic tribunals to punitive censure in International fora. There was, however, silver linings in the dark cloud of defeat that was threatening to envelop him. Firstly the victorious Maithripala Sirisena had failed to win the numerical majority of the ethnic majority. It was estimated that 55% of votes cast by members of the Sinhala community had been in favour of Mahinda Rajapaksa. On the other hand, estimates said 81% of voters from the three ethnic minorities namely the Sri Lankan Tamils, Muslims and Indian Tamils had polled for Maithripala Sirisena. This had helped offset the disadvantage suffered by Sirisena in the Sinhala constituency and entitled him to overall victory. Though the final result had favoured Sirisena, he was unable to win over the majority of the Sinhalese. Since the Sinhalese comprise 74 % of the total population and Rajapaksa had won over half of the Sinhala votes, Medamulana Mahinda could not be easily written off politically. Even though some sneeringly apply a racist veneer to this support, the fact remains that it is indeed a strong point in Mahinda’s favour and grants him considerable political clout. Sirisena who was installed as President to run a Government of good governance occupied himself more with the affairs of running the Sri Lanka Freedom Party (SLFP) and the umbrella United Peoples Freedom Alliance(UPFA). Secondly, the United Peoples Freedom Alliance (UPFA) and its premier constituent the Sri Lanka Freedom Party (SLFP) had been firmly opposed to the ultimate victor Maithripala Sirisena. Individuals and parties from the SLFP and UPFA may have thrown in their lot with Sirisena at the hustings but the SLFP and the SLFP led UPFA were organizationally intact and firmly behind Mahinda Rajapaksa. It was anticipated earlier that the Vaasi Pattata Hoiya syndrome would prevail after the Sirisena victory and that Parliamentarians would desert the SLFP/UPFA in large numbers. Several MP’s did cross, but the bulk of MP’s did not. Even some of the ‘crossers over’ were fifth columnists bent on sabotage. The expected large-scale desertion did not happen mainly because the election result had demonstrated that the majority of Sinhala voter support was still with Mahinda. Thus most MPs opted to stay put with Mahinda rather than hitch their wagon to the Maithripala star. Besides, there was subterranean hostility towards Maithripala within the party rank and file. Sirisena may have been hailed as a saviour of democracy by the likes of former British Premier David Cameron and ex-US Secretary of State John Kerry but to the local SLFP stalwart, Maithripala is a hated politician, who betrayed his party by crossing over and then forming a Government dominated by the UNP. 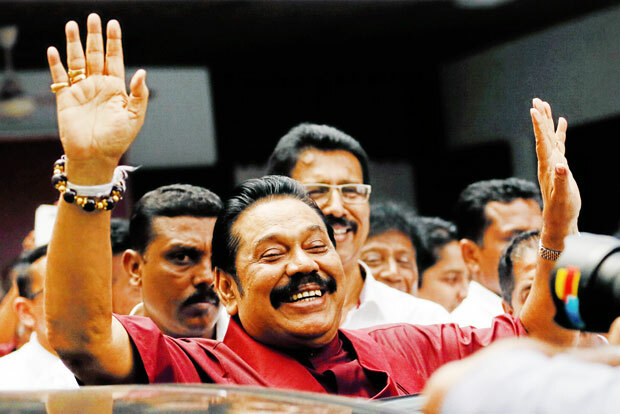 These silver linings, therefore, provided Mahinda Rajapaksa with space to manoeuvre politically. Basic tenets of guerrilla warfare emphasise the need to trade space for a time when required. In Mahinda’s case too he needed to trade off space to acquire more time. This time was essential to delay or ward off an anticipated political offensive by the Sirisena-Wickremesinghe-Kumaratunga triumvirate and also to launch the counter-offensive to regain lost political ground. So Mahinda Rajapaksa began trading off the political space he had. A chain is as strong as its weakest link. As far as the Maithri-Ranil-Chandrika trio was concerned the weakest link was perceived as President Sirisena. During the election campaign, Mahinda had stated that the fight was really between Chandrika and himself. He also identified Ranil and the UNP as arch-rivals. Maithripala, however, was a different kettle of fish. The man whom Mahinda accused of eating egg hoppers with him at night and committing political treachery in the morning was a sturdy son of the Rajarata soil with old-fashioned values. Apart from a brief flirtation with Rohana Wijeweera’s Janatha Vimukthi Peramuna (JVP) in his youth, Maithripala Sirisena had been a loyal SLFPer throughout. Sirisena was not an aristocrat but true blue blood ran in his veins. In Oscar Wilde’s Lady Windermere’s Fan, the character Cecil Graham queries “What is a cynic?”, to which Lord Darlington replies “A man who knows the price of everything and the value of nothing”. In a Sri Lankan political scenario, Mahinda Rajapaksa is a cynical realist who “knows the price of everything” and Maithripala Sirisena a sentimentalist who saw “an absurd value in everything”. Thus sentimental Maithripala was a virtual sitting duck when cynical Mahinda trained his guns on him. Mahinda Rajapaksa realised that Maithripala Sirisena was in a state of denial about the true state of the SLFP and himself. During the campaign, Maithripala had insisted that he was still the Secretary of the Party and would remain so. Sirisena was also sensitively vulnerable to charges of having betrayed and broken the party, He was very keen that the SLFP should not fragment because of him. What Sirisena failed to realise was that the SLFP had fractured as soon as he crossed over with a handful of loyalists. Much water had flown under the bridge thereafter. Yet, Maithripala continued to labour under the sentiment-driven illusion that the SLFP egg could be made whole again after cracking it and making an omelette out of the yolks. 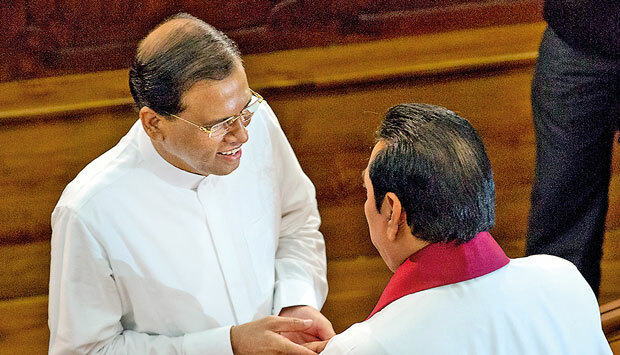 Assessing Maithripala’s mindset correctly, Mahinda made the President an offer that he could not refuse. The leadership of the SLFP and by extension the chairmanship of the UPFA was offered to him on a platter. The icing on the cake was presenting Maithripala a potential opportunity to prevent the break-up of the SLFP. Here was a man whom the nation had elected democratically as head of the country to genuinely unify it. This was a noble responsibility. Yet, the President laid greater value at that juncture in being head of a political party and preserving its unity. Had Mahinda not ceded that space to Maithripala there may have been a political tussle leading to a legal wrangle. While the party constitution enabled the elected President to be Leader of the Party there was also a condition that the person was elected from the party or a party led alliance. If there was an open confrontation over party leadership the SLFP would certainly have been torn apart with the greater part opting to support Rajapaksa. Hence President Sirisena grasped the rose plant offered with all its nestles. Some of Sirisena’s acolytes doubling up as political commentators while holding “patronage posts” described this SLFP takeover by Sirisena as a rout of Rajapaksa. This was not what had happened but Sirisena was lulled into the triumphant mode by the sycophantic Jayawewa kattiya. Wrapped in a sentimental haze, President Sirisena failed to take note of a basic truth. Maithripala had gone against the SLFP and won with the support of other parties. His victory was made possible by the UNP while his own party had worked against him. The elementary truth was that the SLFP as a party was inherently hostile to him. It was still under the “de-facto” control of Mahinda Rajapaksa. Mahinda could pull the carpet from under Maithripala’s feet at any time he desired. The dice was loaded against Maithripala. Still, he chose to roll the dice thinking he could assert his authority gradually over the SLFP. When Mahinda Rajapaksa contested and won the Presidency in November 2005, Chandrika Bandaranaike Kumaratunga was the leader of the SLFP. Mahinda amended the Party Constitution whereby it was stipulated that anyone elected from the party as President would automatically become party leader. By this move, Mahinda succeeded in removing Chandrika as party leader. The unexpected however happened when Sirisena crossed over and became the Common Opposition candidate. Mahinda suspended Maithripala from the party but did not expel him. So Maithripala’s suspension was removed and this enabled Maithripala to turn the tables on Mahinda by taking over the SLFP after he was elected President. It was in a sense poetic justice as the provision brought in by Mahinda to eliminate Chandrika as leader was now used to replace Mahinda with Maithripala. Still, Mahinda could have challenged Maithripala Sirisena becoming SLFP leader if he wanted to. A basic common sense approach could have indicated that the “President as party leader” clause was only meant for candidates from the party. None of which was taken seriously. No punitive action followed. Sirisena was perceived as a weak leader. The Mahinda movement tasted blood. A series of demonstrations followed at regular intervals in places like Kandy, Ratnapura, Matara and Kurunegala. Maithripala had contested against the SLFP/UPFA at the Presidential Poll and defeated his ‘mother’ party with the help of the much detested traditional rival the UNP. Returning to the party after such an act would have been unacceptable. Accepting such a renegade back into party folds and crowning him as party leader would have been virtually impossible under such circumstances. Yet, like Ripley’s Believe it or Not, this is exactly what happened. Mahinda did not oppose Maithripala taking over the party. He did not resort to legal action or engineer a revolt within party rank and file. Actually, Mahinda facilitated the re-entry of Maithripala and made the offer unofficially. The Medamulana Machiavelli was setting a trap for Maithripala by making him SLFP Leader. “Will you walk into my Parlour? said the spider to the fly” in the poem by Mary Howitt. The fly was deceived by the cunning spider’s flattery and walked in. That was the end of the fly. Likewise, Maithripala walked into Mahinda’s trap of party leader. He is now feeling the consequences of the trap he has walked or fallen into. President Sirisena had acquired the nominal leadership of the SLFP but real power was still in the hands of Mahinda Rajapaksa who was quite content to let Maithripala lull himself into the false belief of being the undisputed SLFP leader. Sirisena’s political blunder of taking over the leadership of the party that had fought against him fiercely at the presidential polls began causing fissures within the Sirisena – Wickremesinghe Government. Sirisena, however, was hopeful that he would be able to oust Mahinda permanently from politics and establish full control over the party. This belief was bolstered by the dead rope given to Maithripala by senior SLFP leaders who were engaged in acts of political deception for their own reasons. The SLFP itself now could be categorised broadly into three schools of thought. One category was strongly supportive of Mahinda Rajapaksa and opined that notwithstanding his flaws the ex-President was the only person capable of mobilising votes for the party. Another category was opposed to Rajapaksa and had thrown in its lot with Sirisena. Still, many in this category were uncomfortable about aligning with the UNP. The third category was undecided and wavering. Some in this third category were like cat-on-the-wall-prepared to jump to whichever side was more beneficial. Others were firmly loyal to the party only and were ready to support the acknowledged leader of the SLFP. Another foible – if one may call it that - in President, Sirisena was his self – perception of being a great statesman. Being a Liberal Democrat by temperament and attitude, Sirisena felt that he could achieve many things through dialogue and discussion. Former President Ranasinghe Premadasa used to describe his political approach as the ‘3Cs namely “Consultation, Compromise and Consensus. Despite paying lip service to the consultation, compromise and consensus formula, the headstrong Premadasa seldom practised this sincerely. Realpolitik decreed otherwise. But President Sirisena sincerely thought he could govern by consensus or more particularly bi-partisan consensus. Since the SLFP was the largest party in Parliament, he needed to exert greater influence over it, as a leader to achieve that elusive consensus. The mistaken notion that he was the supreme leader of the SLFP compelled Sirisena to protect the party and preserve his leadership. It was also necessary to increase SLFP representation in the Government to counterbalance the UNP. When the Yahapalanaya Government was formed there were only a handful of SLFPers with Maithripala. Now he thought he had the entire party under him. He naively believed that the party would be loyal to him after he became the accredited leader. 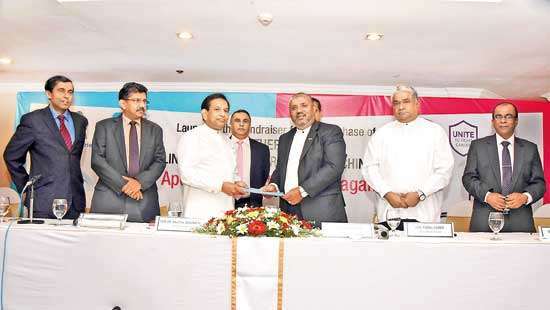 So more posts had to be given to the SLFP as rewards to guarantee support and ensure loyalty. What Sirisena failed to recognize at that juncture was that some of those SLFPers who joined the Government had the underhand motive of sabotaging his relations with the UNP and Chandrika Kumaratunga. As a result of accommodating more SLFP members in the Government, the initial pledge of a small sized Cabinet was flouted. What was even worse was the need to cushion party members from being penalised for alleged offences of omission and commission when in power. If consensus was to be reached, the cooperation of the party was essential. Logically party members could not be expected to cooperate at one level when legal action was being pursued against them on another level. 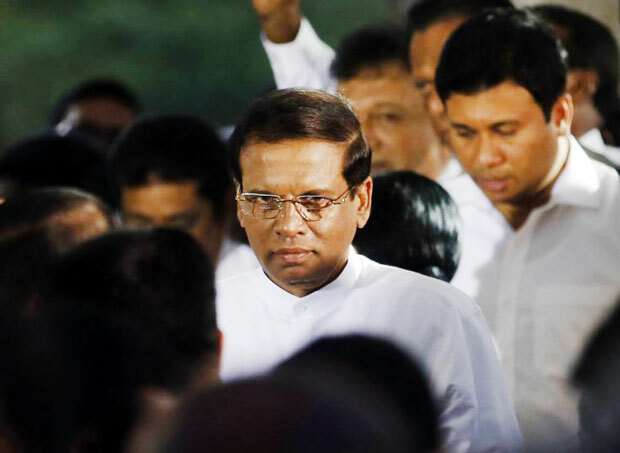 Besides donning the leadership mantle of the party meant Maithripala Sirisena had to watch the interests of the party. What many tend to ignore is the fact that Maithripala Sirisena was part and parcel of the Mahinda led Government and SLFP until he crossed over in November 2014. It could be argued therefore that Sirisena had a vested interest in safeguarding most members of the Rajapaksa regime even in a changed equation. There was also the duty of separating the non–corrupt from the corrupt among party loyalists and winning them over to his way of thinking. This led to a pronounced lethargy in the yahapalanaya (Good Governance) Government’s avowed objective of cracking down on those who had abused or misused power. Ironically it was well disguised as a defeat for Rajapaksa and victory for Sirisena. The President reverting to the party he had deserted to contest as common presidential candidate irked the UNP. Sirisena’s political godmother Chandrika Kumaratunga was also annoyed. The cracks began to appear. Still the President’s “hurrah boys” egged him on as Maithripala Sirisena embarked upon this colossal exercise in futility. Having neutralised President Maithripala to some extent and also driven a wedge into the ranks of the Sirisena-Wickremesinghe-Government through the act of conceding SLFP leadership, Mahinda Rajapaksa began opening another front. In an ironic twist, Maithripala Sirisena turned his back on the political party and minority ethnicities which helped elect him President and began pandering to the party and the Sinhala ultra-nationalist constituency that opposed him. In military parlance, Mahinda withdrew from the SLFP front and re-opened the UPFA front. It was a dazzling political drama of pretension often enacted by political leaders. They pretend to be ready to forego power by declaring their intention to resign or quit office. This is followed up by orchestrated demonstrations by supporters demanding that their leader should not resign or quit. The demonstrations have the appearance of being spontaneous. Finally with feigned reluctance the great leader bows down to the wishes of the people and revises his earlier stance. Mahinda Rajapaksa too followed this time-tested path but with his own type of spin. He had quit Presidential office even before the full result was announced. He had now given up his claim to party leadership. The image he sought to project was that of Mahinda Rajapaksa not being a power-hungry person. Mahinda now retired to his residences in Medamulana and Tangalle and began entertaining daily visitors arriving in busloads. Mahinda also went around the country paying homage at Buddhist places of worship.He interacted with the media briefly on such occasions. The image portrayed was that of a king going into a hermitage. Having given up his party leadership willingly Rajapaksa was now seeking a quiet life of retirement and religious contemplation. This appearance of withdrawal from active politics was a deceptive facade. As stated before, the UPFA political front had been opened. Four trusted captains from constituent parties in the UPFA have entrusted the task of launching and promoting a “Bring Back Mahinda” movement. 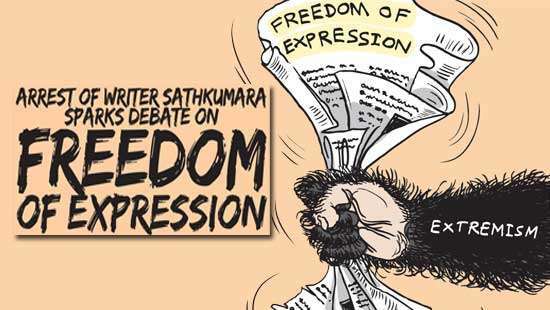 They were Dinesh Gunawardane, Vasudeva Nanayakkara, Wimal Weerawansa and Udaya Gammanpila. This famous four comprising three Parliamentarians and one Provincial Councillor were the prime movers and shakers who organized the first Bring Back Mahinda rally at Nugegoda. None of them was from the SLFP. The tactic of raising the demand for Rajapaksa’s return by non–SLFP leaders of the UPFA sustained the illusion of the SLFP being under the total control of Maithripala Sirisena. It was as if the SLFP front-liners marking attendance at pro-Mahinda rallies were doing so in their individual capacities. The party as an entity was not supportive of such a stance. After all, was not Maithripala Sirisena the accredited leader of the SLFP? The reality, however, was different. There were certain sections in the party who were hostile to Mahinda and amenable to Sirisena but the bulk of the MPs, councillors, local authority heads, and office –bearers of party organizations and branches, financial backers, propagandists and above all members at the grass root level were supportive of Rajapaksa. The Nugegoda rally succeeded in shocking and awing the nation. By a well-executed demonstration at Nugegoda, Mahinda Rajapaksa was able to prove that he was not a spent force and that he was a force to be reckoned with yet. The Nugegoda rally was followed by a series of Bring Back Mahinda demonstrations in different parts of the country. The intention was to show that the people were clamouring for a return of Mahinda Rajapaksa to the political helm. Bringing Back Mahinda to Temple Trees was the new mantra. The UPFA sponsored rally was held at Nugegoda in February 2015. It was a success from the point of view of the organizers. A very large crowd both contrived and voluntary had converged at the venue. More importantly, a large number of SLFP Parliamentarians, provincial councillors and local authority representatives attended the event without mounting the stage. The defiance displayed by these MPs and councillors from the SLFP was a direct affront to the new party leader Maithripala. This was the acid test for the president. How would he react? Would he sting like a bee and show who the boss was? President Sirisena did not sting like a bee! If at all he did sting, it was like a butterfly. Empty warnings and feeble threats were issued. The participation of SLFP Parliamentarians and councillors increased in numbers. Some even took to the stage. Later the iron butterfly Hirunika Premachandra was to observe that had President Sirisena cracked down hard on SLFP elements in the aftermath of the Nugegoda rally, the other rallies may not have occurred. That, however, did not happen as President Sirisena was found wanting. 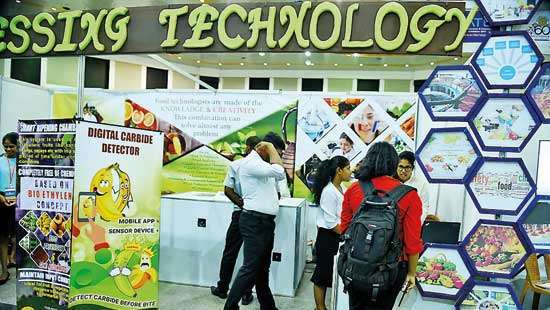 Instead of fizzling out the Bring Back Mahinda movement continued to dazzle. The Bring Back Mahinda movement is breathing the sweet smell of success now. A new political party, Sri Lanka Podu Jana Peramuna (SLPP), formed with Mahinda Rajapaksa as its de-facto head has defeated the traditional UNP and SLFP at local Government polls. Moreover, the UNP and SLFP are part of a coalition Government and it has been the practice in local authority elections for voters to align themselves more with the parties in power. Yet, this norm has been disregarded in the polls. The political charisma of Mahinda Rajapaksa is the sole ingredient in the SLPP recipe for success. This success is most likely to be repeated in forthcoming provincial council polls too. It has been demonstrated clearly that even though Maithripala Sirisena is the De-jure leader of the SLFP, the De-facto leader is Mahinda Rajapaksa. As for the SLFP rank and file, they have been and will be with Mahinda. The reality, however, is that he is politically de-valued and has been turned into a lame duck President. The Machiavelli of Medamulana has entrapped the Rajarata Reformer with the temptation of party leadership and has in the process enfeebled him.